Dallas Willard says that practicing solitude with silence are the most important spiritual disciplines for people today, especially pastors. In our busy, noisy world we need to “unhook” and get away in order to be alone and be ourselves with our Lord. What are Solitude and Silence About? Solitude and silence are two of the main disciplines that belong on a short list of Spiritual Disciplines List. They are disciplines of abstinence which help disciples of Jesus learn to engage more deeply with the Lord and become more like him in daily life. Solitude and silence make space — space in our souls and space in our lives — for God to do a deep work inside us and through us in our relationships with others. It’s a training that may be difficult, especially at first, as I discuss below. The normal way to practice solitude and silence is get alone with God to be quiet in a quiet place for some hours or days. Perhaps you take a walk on a nature trail or sit beside a lake or a creek. Or a quiet spot in a park or your backyard may work well. Even a secluded chair inside your house may work — as long as all your communication and media devices are turned off! The point of your time in solitude and silence is to do nothing and don’t try to make anything happen. In solitude and silence you’re learning to stop doing, stop producing, stop pleasing people, stop entertaining yourself, stop obsessing — stop doing anything except to simply be your naked self before God and be found by him. Jesus began his public ministry with 40 days of withdrawal into the desert wilderness to fast and pray in solitude and silence. He was alone, hungry, hot and thirsty, surrounded by wild animals, and tested by Satan. We read this and we feel sorry for Jesus, thinking he was so depleted as to barely survive! But the truth of Jesus’ fast is that the Father, the Scriptures, and ministering angels strengthened him! His time alone with God and quietly focused only on him empowered him to resist Satan’s temptations (which came at the end of the 40 days) and it focused and prepared him for his public ministry. Interspersed throughout Jesus’ ministry of preaching, healing, and discipling we see him withdraw from the crowds again and again – often getting up very early to do so – in order to be quiet and alone with the Father. There are many examples in the Gospels of Jesus’ Solitude and Silence with the Father and how important it was to him. Jesus’ Rhythm of Life is the secret to how he got renewed in his Father’s love and empowered by the Spirit for his life and ministry. Also, in quiet prayer he listened to the Father and received discernment for many things, like picking his 12 Apostles and deciding to move from one city to the next. Jesus taught his disciples to follow his prayer practice. “Because so many people were coming and going that they did not even have a chance to eat, he said to [the twelve apostles], ‘Come with me by yourselves to a quiet place and get some rest.’ So they went away by themselves in a boat to a solitary place” (Mark 6:31-32). Paul certainly knew very well the importance of silence and solitude. For instance, after his encounter with the risen Christ he spent three days in solitude and silence for prayer and fasting (Acts 9:9). Then after being ministered to by Ananias and visiting with the disciples he withdrew to converse with Christ for three years in the isolation of the Arabian desert to converse with Christ (Galatians 1:15-16). 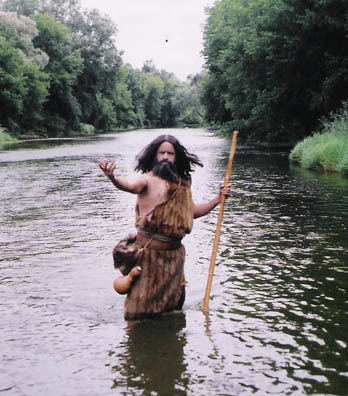 John the Baptist is another one in the Bible who practiced solitude with God. He was quite a figure. Imagine a man who lives in the wilderness with wild animals, dresses in hairy camel skin tied on by a thick leather belt, and exists on a diet of locusts and wild honey! That’s John the Baptist. His message was as austere as his desert surroundings: “Repent, for the Kingdom of Heaven is at hand” (Matthew 3:2, NASB). John lived in the desert with his disciples and hundreds of people came to him there to be baptized and taught. Jesus said John the Baptist was the greatest of all the prophets (all of whom were big on solitude), but John sought no glory for himself. Instead his life ambition and great joy was to prepare the way for people to go to Jesus, as a friend supports a bride marrying the groom (John 3:29). 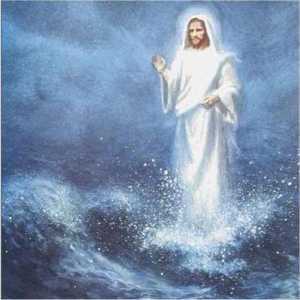 He lived by the dictum: “[Jesus] must become greater and greater, and I must become less and less” (John 3:30, NLT). Like John the Baptist, the Desert Fathers of the early church made solitude in the desert their way of life. They lived in the Egyptian desert in private huts where they weaved baskets to earn a living and while they weaved they prayed and meditated on Scripture. They fasted often and practiced other ascetic disciplines (some of the monks did so in extreme and odd ways that have been given undo attention). Regularly they met individually with their Abba for spiritual direction and as a community for worship. The most famous of these Desert Fathers is Saint Antony (295-373). He was born into a well-to-do family. As a young man he spent a long time meditating on the book of Acts and was moved by the stories of how the disciples lived for Jesus. Then one Sunday he heard the gospel reading: “Go sell all you have and give to the poor and you shall have treasure in heaven” (Mark 10:21). The words so penetrated St. Antony’s heart that he obeyed the Scripture literally. After providing for his sister he sold his parents’ estate, gave the money to the poor, and headed out into the Egyptian desert to seek God through practicing spiritual disciplines. The Life of St. Antony by Athanasus is considered one of the most influential writings in Christian history because it depicted an ordinary man living an extraordinary life that looked like Jesus’. His devotion to Christ and disciplined life produced remarkable holy fruit in character, word, and deed. Because of St. Antony’s example countless people became followers of Christ. Thousands of them went into the desert to visit him and receive spiritual direction and ministry. Story after story was recorded of miracle healings and deliverances and extraordinary words of wisdom on living the Christian life. Many Christians were so inspired by St. Antony that they became monks, imitating his way of life in the desert and forming monasteries, a movement which continues to this day. Fortunately, we don’t need to become monks living in private huts in the desert to practice the disciplines of solitude and silence! We can apply the way of the Desert Fathers in the context of the lives we’re living. The obvious way to do this is in daily devotions in the Scriptures. Less obvious is to find quiet interludes during the day to focus our minds on God. A great way to do this is to devote five minutes or more to using a beloved phrase from the Bible in Abiding Prayer. And most people spend time alone driving in the car to work or running errands and this is a great opportunity for solitude and silence if you turn off the radio, CD player, and iPod in order to converse with God. And it’s immensely valuable to periodically set aside a day or longer for a retreat with Father, Son, and Holy Spirit at a monastery or other quiet place that you can be left alone for long periods of time. Think of this as spending time alone with Jesus, doing something that you want to do with your Best Friend, something that will renew your soul! As important as solitude is you shouldn’t enter into it casually or carelessly – especially if you have an extroverted personality! There are reasons why many people are afraid to be alone, especially without activity or noise. 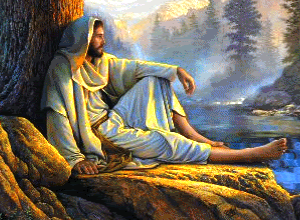 Like Jesus in our solitude we may have to deal with Satan’s temptations and some wild animals (Mark 1:13). “We can only survive solitude,” warns Dallas Willard, “if we cling to Christ there” (Spirit of the Disciplines, p. 161). Solitude and silence bring to the surface inner conflicts, distress, and longings. This can be upsetting or painful, but it is much needed purification! Whatever issues come up for us can then be brought to the Lord in prayer or shared with a friend later. In solitude I get rid of my scaffolding: no friends to talk with, no telephone calls to make, no meetings to attend, no music to entertain, no books to distract, just me – naked, vulnerable, weak, sinful, deprived, broken – nothing. It is this nothingness that I have to face in my solitude, a nothingness so dreadful that everything in me wants to run to my friends, my work, and my distractions so that I can forget my nothingness and make myself believe that I am worth something. Once you push through the initial discomfort and challenge of solitude you’ll find that it will bring the wonderful refreshment of God’s peace, “that transcends all understanding” and “will guard your hearts and minds in Christ Jesus” (Philippians 4:7). Even when we’re in stressful circumstances we can learn to maintain a silent center, a stillness of soul that flows in God’s peace. We come into this peace by training with Jesus in silence and solitude. As we go into the solitary place with the Lord he purges our souls of the distractions, anxieties, and sins that rise to the surface. Then his Holy Spirit like a dove settles on us and leaves us with the gift of peace, a deep and soul-full sense of well-being. “The purpose of silence and solitude,” says Richard Foster, “is to be able to see and hear” (Celebration of Discipline, p. 86). The Spirit speaks to us when our heart is still and silent before the Lord – not when we’re rushing about and doing our own thing in our own way. As Jesus said that it’s the purified heart that receives the blessing of seeing God (Matthew 5:8). And when God shows us himself or speaks his Word to us we want to pay attention! So it’s a good idea when you set aside time for a sacred silence to bring your journal and write down what you see and hear. “We are silent at the beginning of the day because God should have the first word, and we are silent before going to sleep because the last word also belongs to God… Silence is nothing else but waiting for God’s Word and coming from God’s Word with a blessing. But everybody knows that this is something that needs to be practiced and learned” (Life Together, p. 79). When we’re deeply in love with someone we think about them when we get up in the morning and when we go to sleep at night — we think of them all the time! Spend extended time with Jesus in solitude and silence and you will grow more and more in love with him! But if you try to serve the Lord without this Sabbath time then you’re likely to dry up spiritually. You may burn out. Not making regular use of solitude and silence is probably a main reason for Pastors Stress and why they burn out and on average only last five years serving as pastors. The “desert” or “closet” is the primary place of strength for the beginner, as it was for Christ and Paul… In stark aloneness it is possible to have silence, to be still, and to know that Jehovah indeed is God (Psalm 46:10), to set the Lord before our minds with sufficient intensity and duration that we stay centered upon him – our hearts fixed, established in trust (Psalm 112:7-8) – even when back in the office, shop, or home (Dallas Willard, The Spirit of the Disciplines, p. 162). The ultimate test of the value of solitude and silence is if they empower us to love others: if we’ve truly been with the God of love and his love is purifying us and putting us at peace then we’ll love others better. So we need to realize that silence isn’t something only for when we’re alone; it’s also about learning to control our tongue in our relationships. As Jesus’ little brother James brings out in his epistle the tongue directs our lives like a rudder steers a boat and it is not an easy exercise to learn mastery over our tongues (James 3:4-5). How easily we criticize or slander others. How quickly we use our words to give others an ideal impression of ourselves. The discipline of silence teaches us loving restraint. We learn to see not only ourselves, but also others as under God’s grace. Don’t misunderstand the exercise of silence. “There is a time to be silent and a time to speak” (Ecclesiastes 3:7). As much as it’s good to be able to hold your tongue it’s also important to be able to speak the truth in love to people (Ephesians 4:15). Practicing silence doesn’t mean having no boundaries! And it certainly doesn’t mean receiving abuse or any sinful violation in a way that would leave you endangered, depressed, afraid, or ashamed! Richard Foster says, “A person who is under the Discipline of silence is a person who can say what needs to be said when it needs to be said… If we are silent when we should speak, we are not living in the Discipline of silence. If we speak when we should be silent, we again miss the mark” (Celebration of Discipline, p. 87). Jesus modeled that wise appropriation: He knew when to be in quiet solitude and when to be in community, when to be silent before his accusers and when to speak up, when to let people go their way and when to confront them, when to endure persecution quietly and when to stand and fight in love. 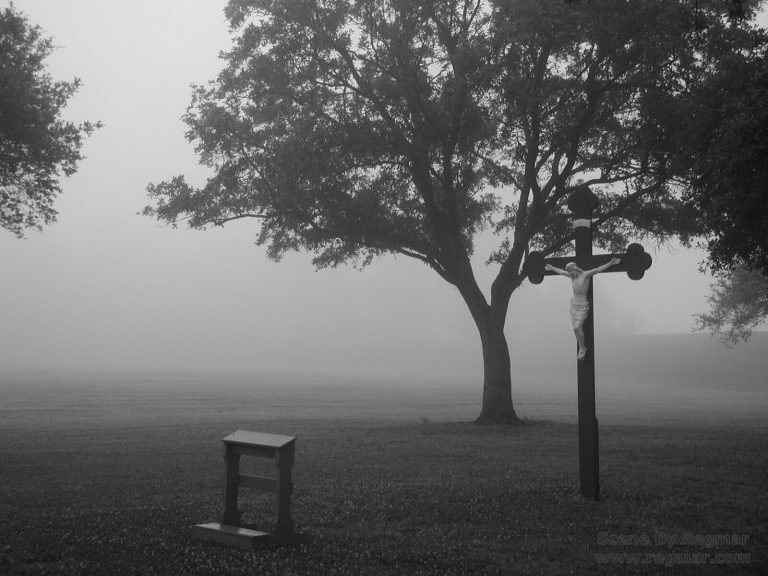 In solitude and silence we go into training with Jesus so that we can bring him, and his wisdom and grace, into our relationships with others. I’m joing the list of those saying “thank you!” for this article (and others on your site). This article has been and continues to be specifically helpful to me. Near the end of last year I sensed that God wanted me to learn more about being silent – less by reading about it than by practicing it. In thinking about how to help myself along, I came across your article. It formed a jumping off point for me in two ways: the reminder to “Do Nothing / Don’t try to make anything happen”, and the many verses you refer to (also via the links to other articles). So in January, and up through October, I started taking a single passage a week from the articles on silence and the rhythm of Jesus’ life, and using Lectio Divina as a model to help me through. “Do Nothing” became my motto in the Contemplatio step of the Lectio! As all good things, it’s had it’s ups and downs. Being silent is sometimes hard, and it’s frustrating to find my own thoughts rambling on even as I sit and wait. But the journey is rich, and I surprisingly find that “silent center” more frequently during my day. I still have very far to go. But thank you for putting these guidelines out for pilgrims like me to discover. And yet what we find of him in that solitude enables us to return to society as free persons. Thank you. This is such a great read. We are so encouraged by Dallas Willard, Henri Nouwen, and Richard Foster. They have given us all great insight, as your ministry has as well. I’ve been walking as a talmida (disciplined one) of Yeshua for some time now, but only today do I now have a community of desert dwellers to truly share my soul with … you. My husband and I need you so much! We’re both under-shepherds and have fought burn out for over a decade. My soul has been watered … thank you! Dear Nava, Thank you for connecting with Soul Shepherding regarding help with burnout. I sad that you have been struggling with this but I’m glad that you have reach out. Here is a link to our Soul Shepherding Associate who can offer you and your husband support during this time. Excellent!!! I really enjoyed reading this; very well written & helpful!! !